Use these handy online project tools to figure out the approximate cost of home improvement projects. This is a great way to get a ballpark estimate on remodeling and repair projects. However keep in mind that the most accurate estimate is a contractor's estimate. By using our easy to use calculators you will be able to keep up with your remodeling costs without having any surprises. The calculators are quick and easy to use and can quickly let you know how much money you are spending. They can be used in different ways. If you want to get estimates you can use our handy calculators to find out how much your remodeling project is going to cost. This way you can either find ways to cut your spending or you may determine that you can spend more. By using our bathroom remodeling calculator you can put in all of the items you plan to purchase for your bathroom. You can measure your room to determine how many tiles are needed to tile the floor or you can choose another type of flooring. By using the calculator you only have to answer the questions and fill in the blanks and you will quickly be provided with a detailed estimate of your costs. If you are shopping for a new bathtub or toilet, you simply fill in the blanks to find out what your total remodeling costs for your bathroom will be. If you are planning on remodeling your basement you can use our basement calculator to determine how much you can spend. The calculator is a great way to plan out the changes you want to make without having to guess at how much those changes will cost. The calculator is simple to use and only requires you to fill in the blanks. The rest of the work is done for you and you will have the cost of your remodel right there in front of you. When planning to remodel your kitchen you can expect to get into a lot of money rather quickly so using the kitchen remodel calculator is a must to help you keep your expenses under control. The calculator will help you figure the costs of things such as new cabinets or refacing your existing cabinets. You can figure in the cost of replacing appliances and replacing your counter tops as well as your floors. The kitchen is the most expensive room in the house to remodel so having a calculator to figure the costs for you will help you to plan out how you want your kitchen to be. You can also use our calculator to figure the cost of a home addition such as a sunroom or outdoor kitchen. Adding on to the size of your home is a great way to increase your living space without having to sell your home and move. In the tough real estate market today a home addition is a smart option because there is a lot less cost involved. No matter what type of room you want to add to your home the home addition calculator will help you control your expenses. Adding a deck to your home is a great way to add enjoyable space to your property. With our deck building calculator you can determine what type of deck you can afford and how large that deck will be. Using remodeling calculators is a great way for do-it-yourself remodlers. They will help you keep up with your expenses and can be a great aid in the planning stage of your project. 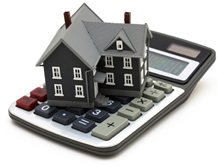 By using the calculators you can know each step of the way what your costs will be. The calculators are easy to use and are a great tool to have at your fingertips.